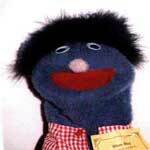 Puppets are a great aid in teaching as they help children pay attention. Using a puppet, both children and adults have an easier time expressing feelings. But probably the most common reason to have a puppet is they are just plain fun. 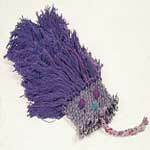 When looking for a puppet pattern, decide on the character of your puppet and if you want a finger or hand puppet. Have fun browsing through these puppet patterns to find just what you have in mind. 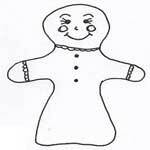 Here is a really simple puppet pattern for making a hand puppet that your children will enjoy playing with for hours. 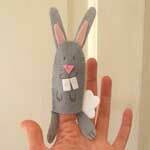 This cute little felt bunny has long ears, big teeth, cotton tail and fits securely on one finger. 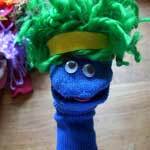 Get creative by making these whimsical sock puppets with wild hair made with colored yarn. 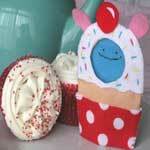 Here is an adorable finger puppet of a cupcake with a big smile and a cherry on top. 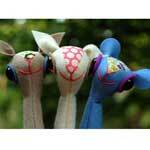 Create finger puppets of little animals with big eyes and cute little ears. Kids love these fun to play with finger puppets. 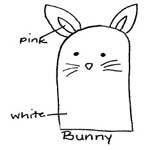 Easy instructions for making a pig, bunny, elephant or mouse finger puppet out of felt fabric. 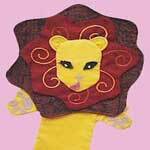 Puppets teach children social skills and fire up their imagination. 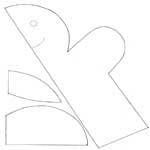 Make your child a hand puppet they will love using this pattern. 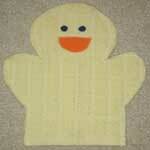 Make bath time fun for baby and toddler by using this pattern for a duck or rabbit mitt made out of terrycloth. 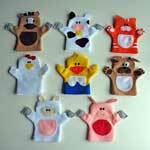 Keep kids entertained by making hand puppets of farm animals such as a pig, cow, chicken and others. This video will show you how to easily sew a large hand puppet and have fun doing so. Here are step by step instructions on how to weave a puppet. Make a people puppet out of this super simple template. You and your child can enjoying making this lion together. This guy is so funny looking and kids love him.